The United States has intermittently viewed Iran as one of the main threats in the Middle East since the era of the Cold War. Given allegations of Iran’s continued funding of terrorist groups, like Hezbollah, and its allegations of gradually-growing nuclear capabilities, the U.S. fear of the major Middle East player is logical. Even after the 2015 Iran Deal, Washington is continuing to monitor Iran’s actions. While the U.S. media and government have instilled a deep phobia in Americans about the Iranian nuclear threat, most Americans do not know much about the current trajectory of Iran-Latin American relations. The United States government is ostensibly concerned with Iran’s active involvement in Latin America because it wants to isolate Tehran’s economy as much as possible and protect American security interests in the hemisphere. Iran’s expansion of trade in the Americas has brought additional revenues to local governments, which could be used to support Iranian nuclear capabilities as well as terrorist organizations. Historically, the United States has viewed the Triple Frontier between Brazil, Argentina, and Paraguay, as a safe-haven for Hezbollah and Hamas agitation, but there have been no recent incidents. For example, in the 1960’s and 70’s, the Triple Frontier first became an economic hub when many Shia-Lebanese and Syrian merchants wanted to make profit through expanding trade. After 9/11, U.S. officials sought to create intelligence programs, reduce criminal activity, and strengthen the rule of law in the region, but these interventionist actions have failed to accomplish this. In addition, “after multiple meetings of the 3+1 Group and years of training and investigation, in 2005, the group announced that “no operational activities [in support] of terrorism have been detected [in] the tri-border area” and in 2012 the U.S. State Department acknowledged that, “No credible information [indicated] that Hezbollah, Hamas, or other Islamist groups [have] used the Tri-Border Area for training or other operational activity”. 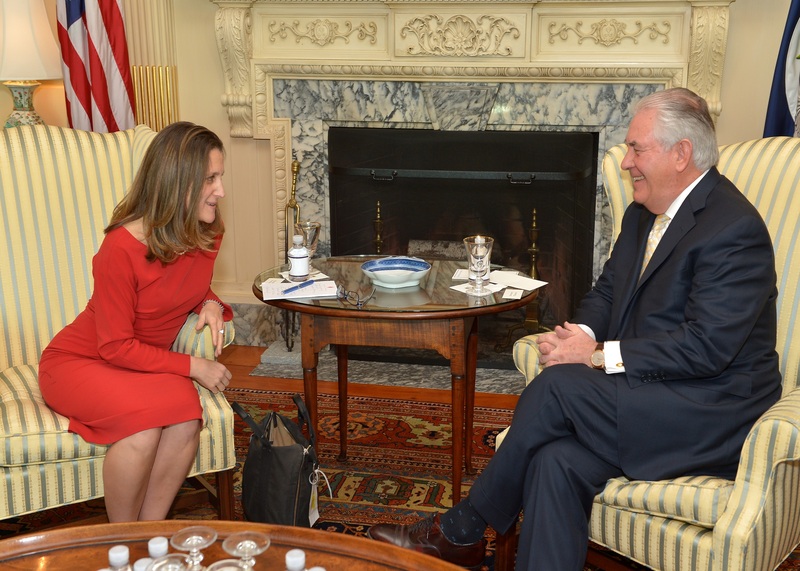 [ii] Although the United States is predominately focused on issues in the Middle East and elsewhere, Iranian foreign policy towards the region has been much more focused on hemispheric issues. Following the provisional conclusion of the sanctions, Iran has increased its economic relationship with other Latin American nations. What is The Role of Iran in the Americas? In the past, Iran has been consumed by terrorist activities in Latin America. In 1992, Hezbollah was responsible for the Israeli Embassy bombing in Buenos Aires, in response to the alleged assassination of Hezbollah’s Secretary General Sayed Abbas al-Musawi. Another example came in 1994, with the bombing of a Community Center in Argentina, Asociación Mutual Israelita Argentina (AMIA), which was an attack by Hezbollah-Iran supporters on the largest Jewish community in Latin America. Iran has been laying the groundwork for its widening relationship with Latin America and to be an economic partner for some of the players in the region. Iran is in the Americas because of its ability to advance its own economic interests and it seeks unity with its partners in the hemisphere. Foreign Minister Zarif wants to build Iran’s cooperation with Latin America on a ‘whole new level’ by “strengthening political & economic ties”. [iii] After the attacks mentioned above, Iran has repeatedly asserted its innocence to the Argentine nation and throughout the region. Despite Argentinian concern over Iran’s nuclear and terrorist threats, trade between the two nations has not diminished. According to IMF data analyzed by FARS News Agency, “Argentina increased its exports to Iran from $29 million in 2007 to $1.2 billion last year becoming Iran’s second largest trade partner in Latin America”. [iv] Currently, these examples have created hiccups in Iran-Latin America relations, but both sides need to realize that they can create improved relations while simultaneously overcoming the past events of state-sponsored terrorism. Iran also enjoys cordial relations with the members of the Alianza Bolivariana para los Pueblos de Nuestra América (Bolivarian Alliance for the Peoples of our America, ALBA). Iran’s status as an observer in the Bolivarian Alliance has been praised by a number of hemispheric nations, while others have not been so welcoming. Ecuador, Nicaragua, Venezuela, and Bolivia have vigorously welcomed Iran’s new influence in Latin America. However, many Latin American nations do not feel particularly comfortable that Iran has been opening embassies, cultural centers, and mosques to expand its influence. Beyond physical reminders of Iran’s presence in the region, Iran has been expanding invisible, covert intelligence operations. For example, “Peru’s southern rural communities are typical targets for launching networks. 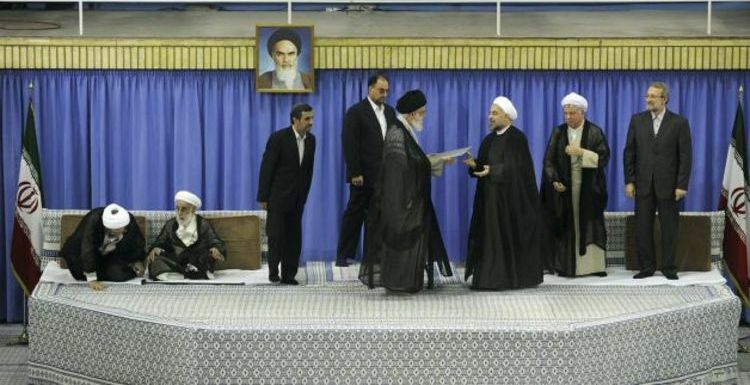 Front companies in the beef and oil industries in Brazil and Uruguay are used to provide cover for Iranian operatives”. [v] Through these activities, Iran has been able to advance its interests by influencing the ALBA agenda even though it cannot vote on specific issues. The Iran-Venezuela relationship within ALBA represents an alliance of ideology and economic interdependence. This alliance dates back to the founding of the Organization of Petroleum Exporting Countries (OPEC) in the 1960’s along with four other countries. Iran is not only a political ally of Venezuela in OPEC, but it is also an important oil supplier and investor in Venezuelan banking and financial systems. 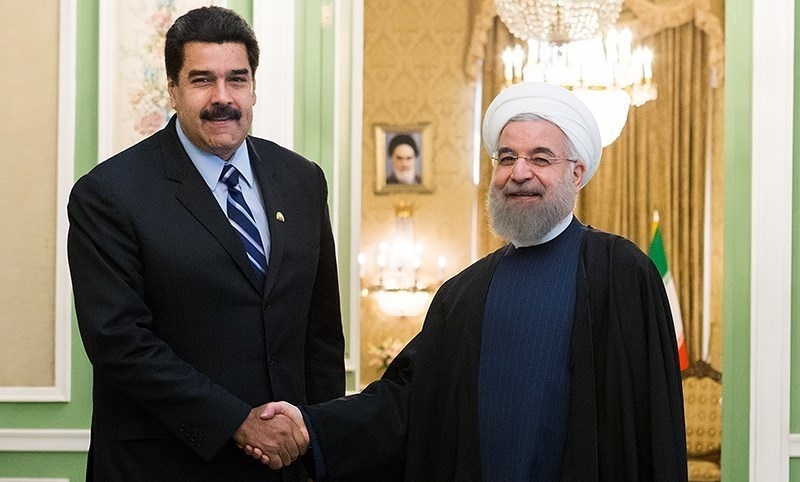 Iran has been cooperating with Venezuela on many projects in South America; “Already a major investor in the $4 billion Ayacucho oil field joint project, Iran agreed in 2008 to invest an additional $760 million in Venezuela’s energy sector. In 2009, Venezuela agreed to invest $760 million in Iran’s South Pars gas field. In late October 2010, as collective sanctions on the Iranian economy started to bite, Venezuela offered an $800 million investment package in Iran’s Pars Field gas sector”. [vi] Venezuela provides Iran with many opportunities to grow its business interests beyond Washington’s current restrictions and the two countries have been long time allies in advancing their socialist agenda. Some Latin American countries now feel more independent carrying out their own diplomacy and do not want to be dictated by Washington on whom to align with. Some of these Latin American nations want to open and sustain relations with China, Russia, and Iran; in order to make their voices heard in the global community. It is more difficult for the U.S. to control how Latin American countries go about with their relations with other nations, and the United States simply misunderstands the actual intentions of some of these actors. Is Iran Challenging the Monroe Doctrine? Iran is continuing a counterbalance strategy between the Muslim world and Latin America. Currently, it is a simple fact that Iran is looking for other partners to cooperate with as well as opening new diplomatic relations, especially in Latin America. The rise of global markets and the slow decline of U.S. influence in its neighborhood have some Latin American leaders looking apprehensively towards new global trading partners. Iran is trying to find ways to expand its foreign policy, but the conservative, traditional Iranian leadership has prevented Rouhani and Zarif from creating these economic ties with other Latin American countries. However, in the case of Venezuela, Iran does not seem to have enough resources to provide Venezuelan needs, given the current Venezuelan economic crisis. Other Latin American countries, like Brazil, are unwilling to break traditional ties with the U.S., limiting Iran’s influence. Rouhani and Zarif want to shift Iran from a country of ‘cold war rhetoric’ to become a country that can maintain close knit relations with a number of Latin American nations. The United States must understand that Iran is not in the region only to counter its interests, but it is there to rekindle relations with other like-minded hemispheric countries. The emergence of Iran as an economic partner in Latin America after the lifting of sanctions comes at a time when Iran seeks global allies in its efforts to gain greater influence and at a time when Latin American countries are more willing to look beyond the U.S. for economic opportunities. The traditional fear of Iran by the U.S. needs to be tempered with the realization that a changing Iran has a presence in Latin America that may help the region develop. Featured image: President Rouhani and President Maduro. Taken from Wikimedia.